Three general algorithms that use different strategies are proposed for computing the maximum likelihood estimate of a semiparametric mixture model. They seek to maximize the likelihood function by, respectively, alternating the parameters, profiling the likelihood and modifying the support set. All three algorithms make a direct use of the recently proposed fast and stable constrained Newton method for computing the nonparametric maximum likelihood of a mixing distribution and employ additionally an optimization algorithm for unconstrained problems. 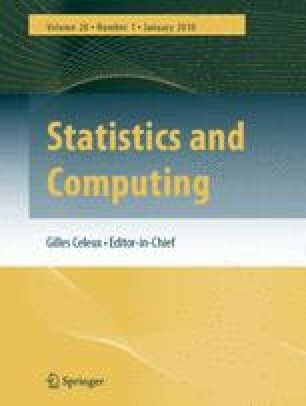 The performance of the algorithms is numerically investigated and compared for solving the Neyman-Scott problem, overcoming overdispersion in logistic regression models and fitting two-level mixed effects logistic regression models. Satisfactory results have been obtained.